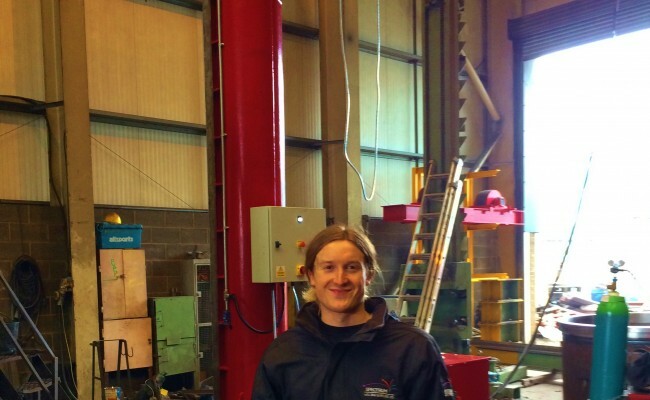 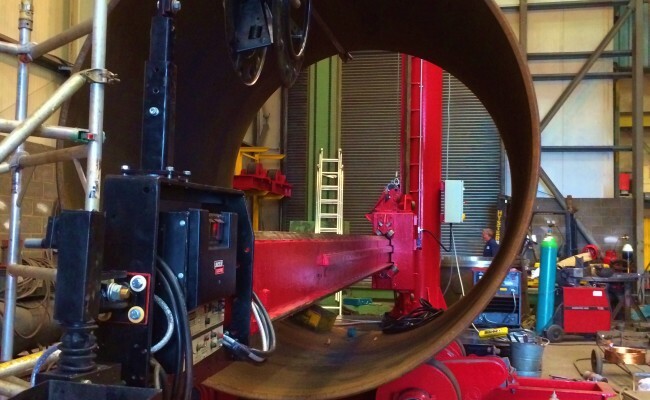 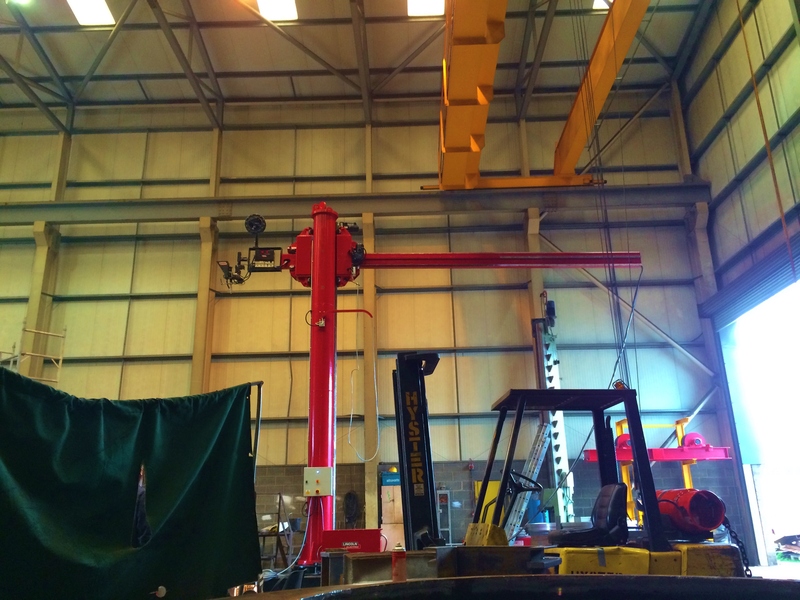 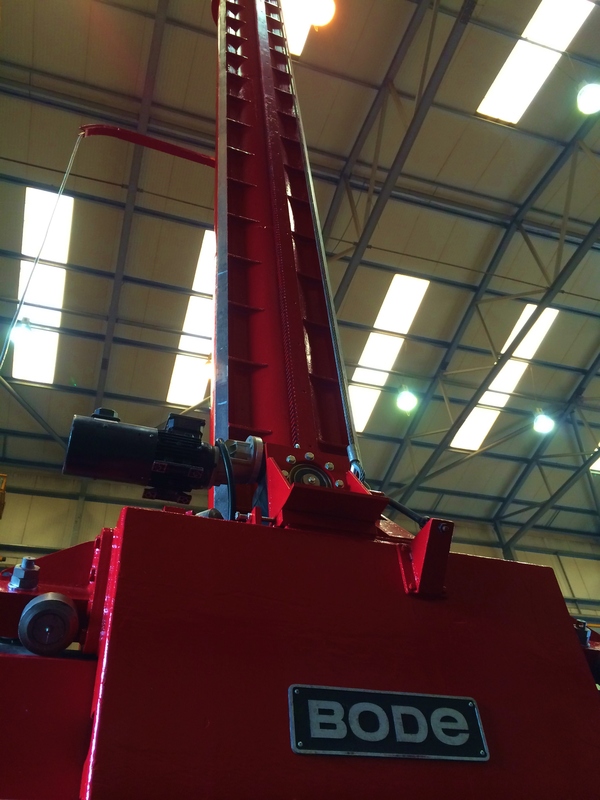 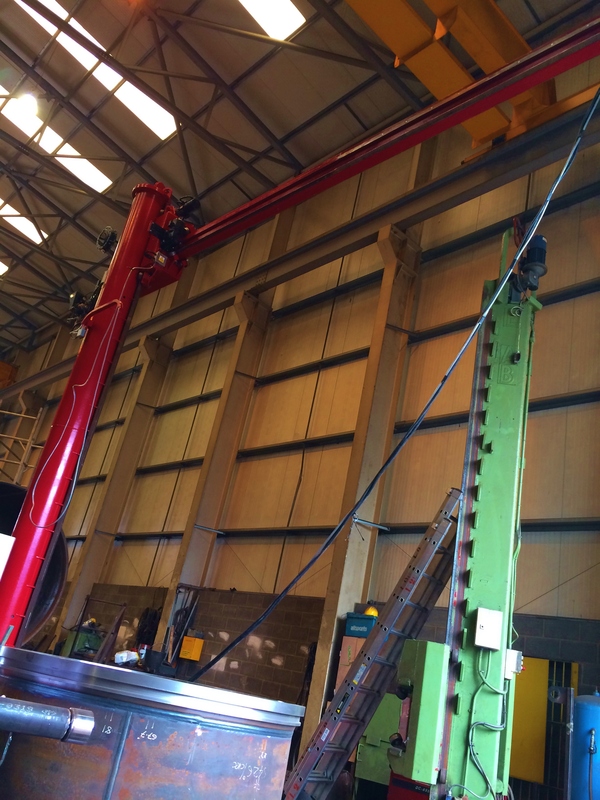 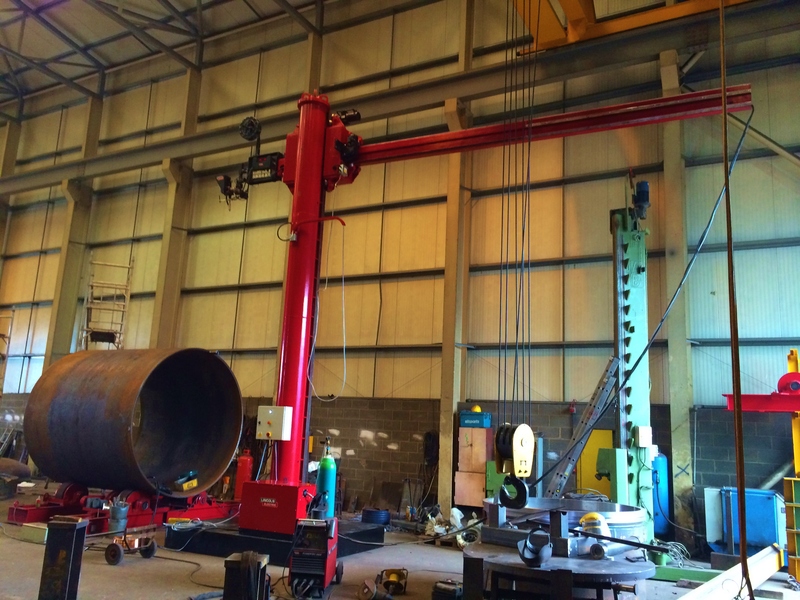 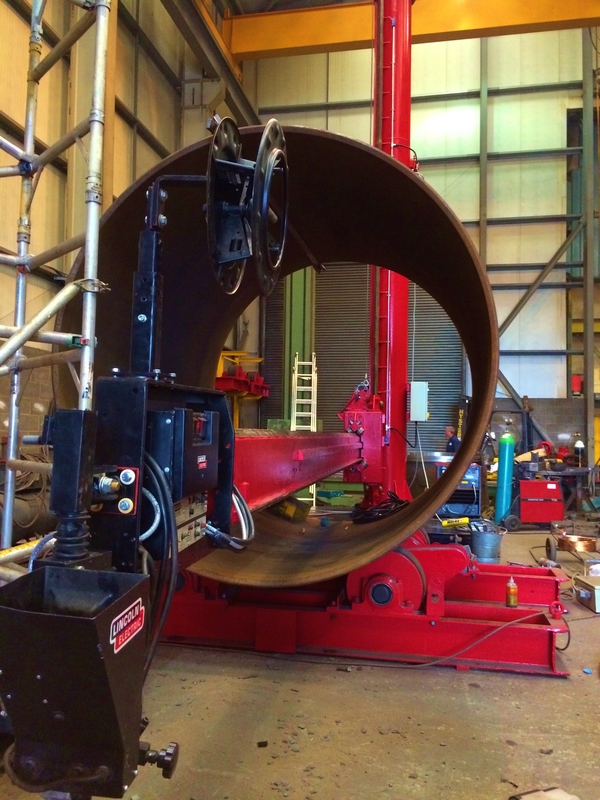 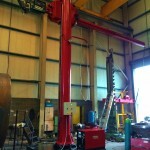 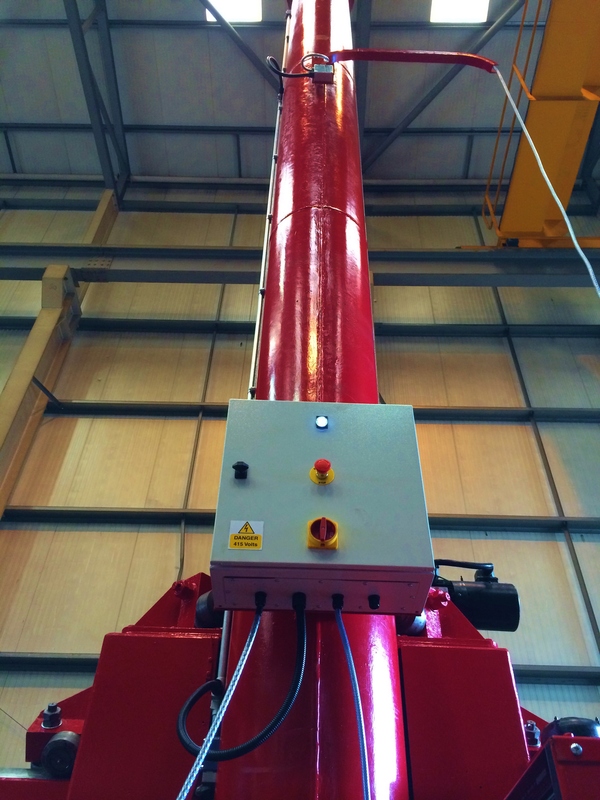 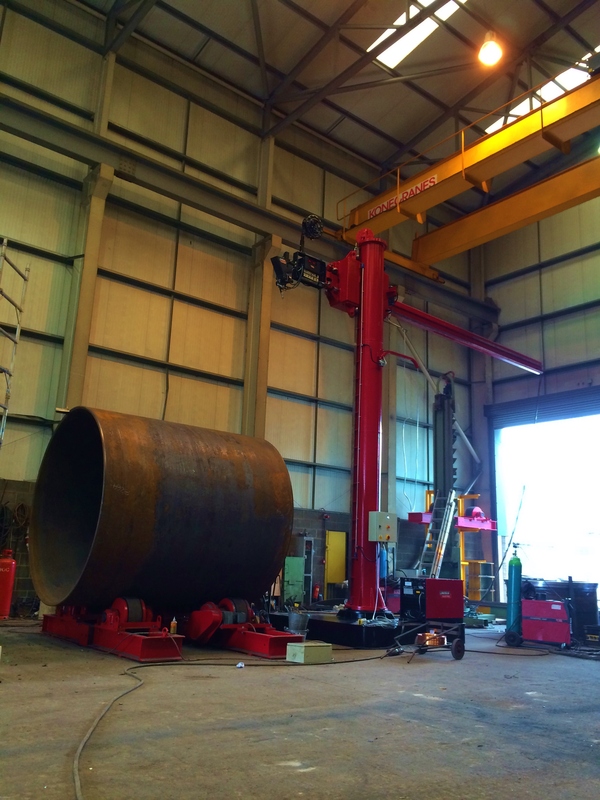 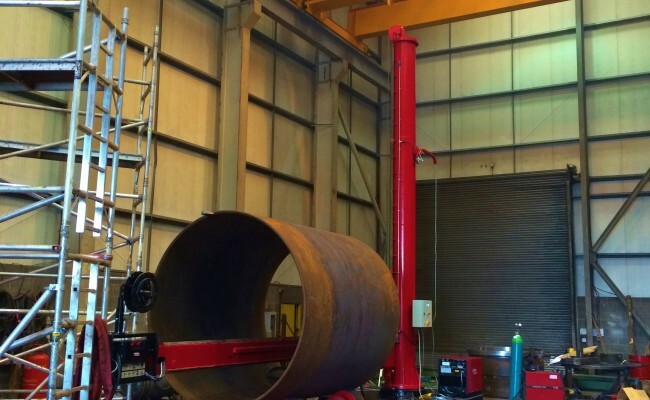 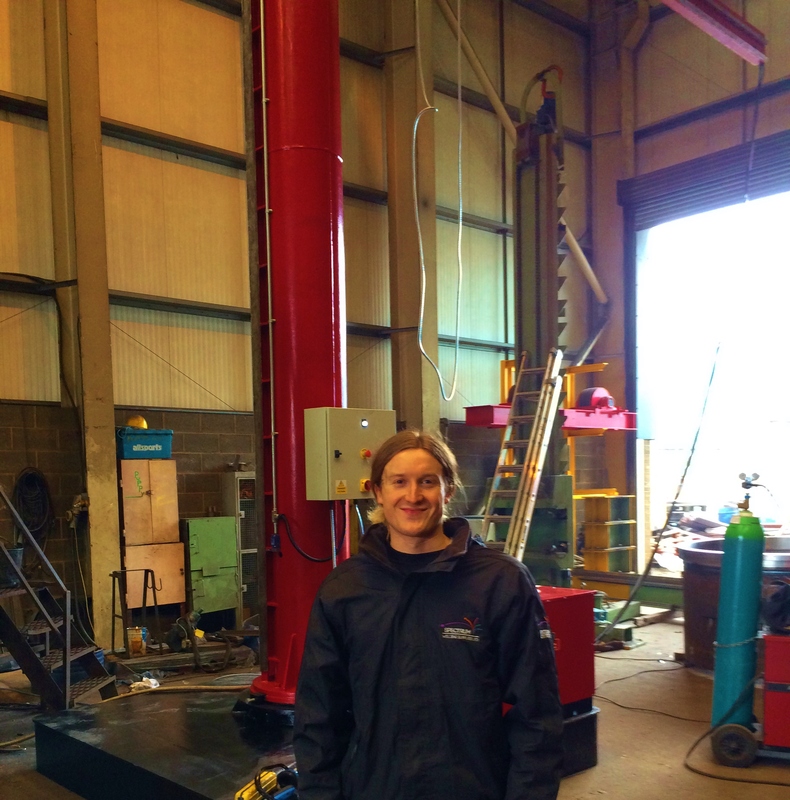 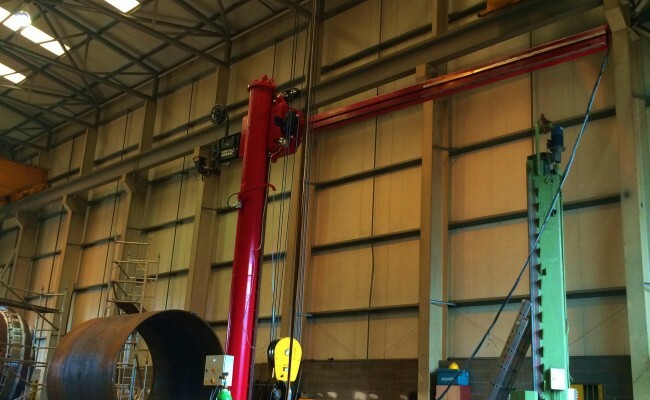 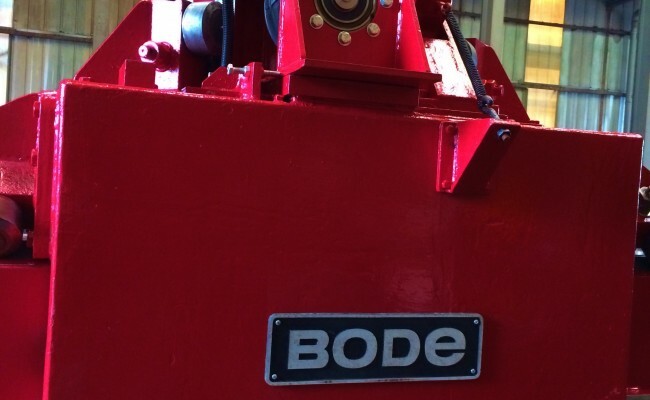 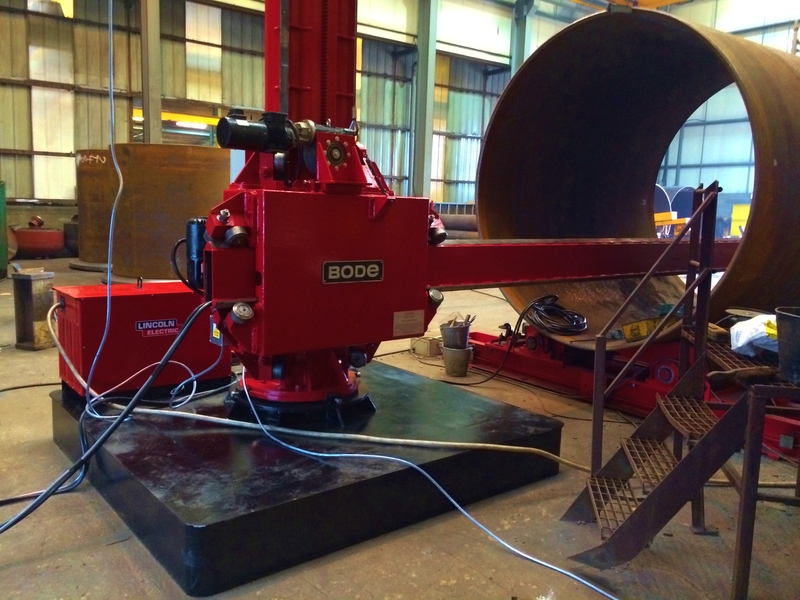 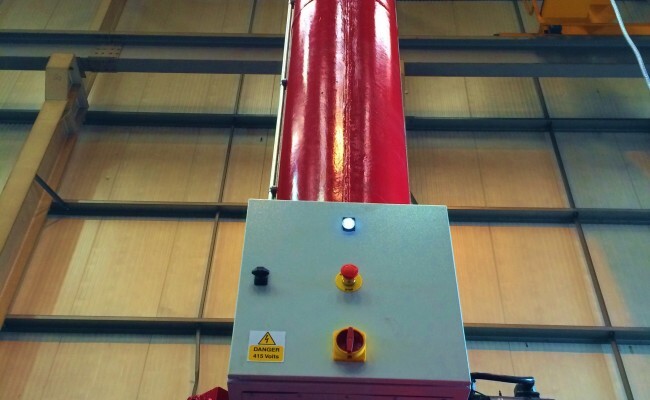 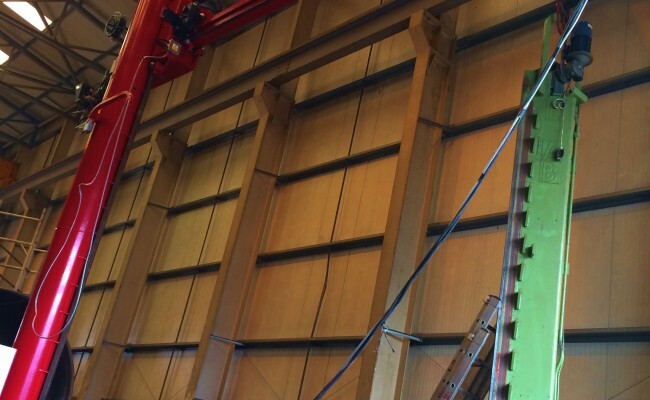 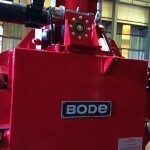 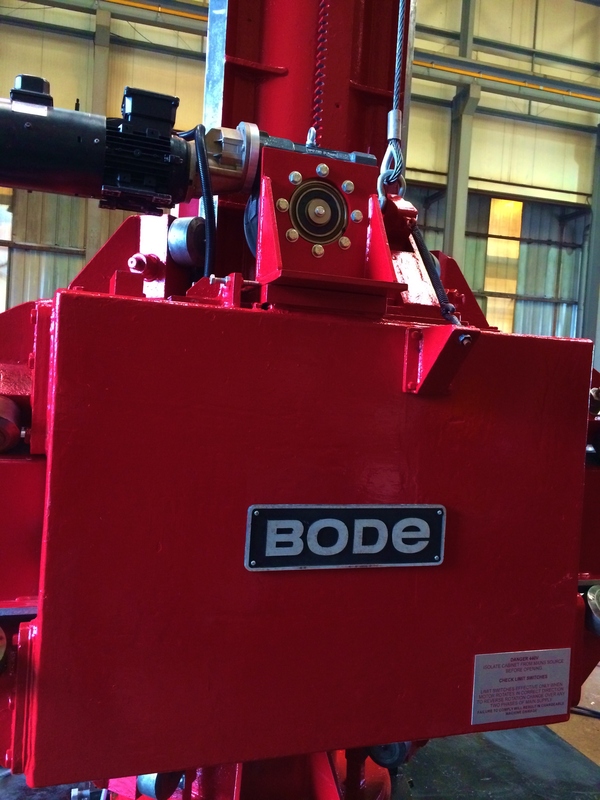 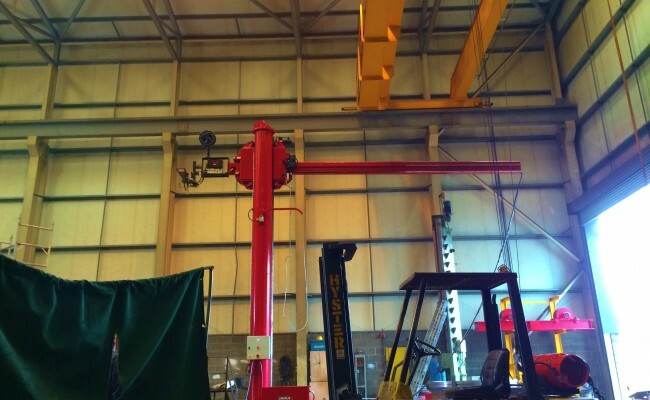 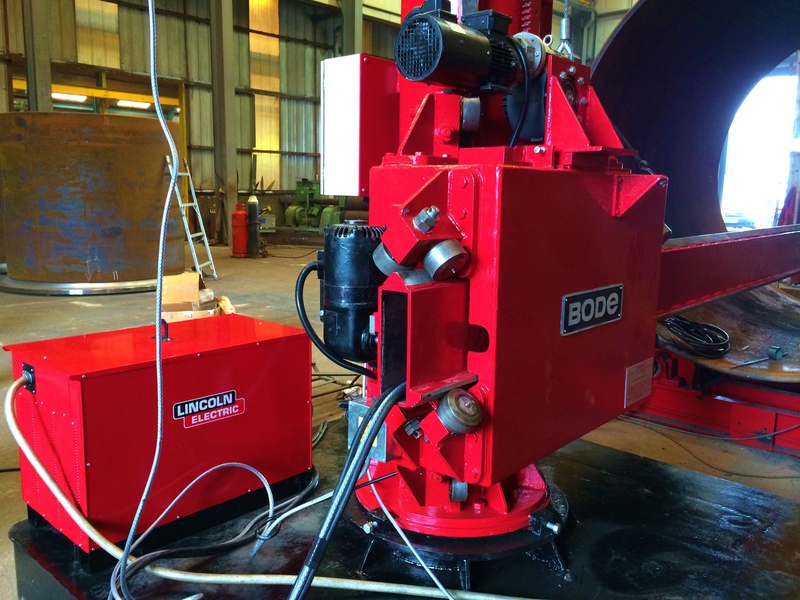 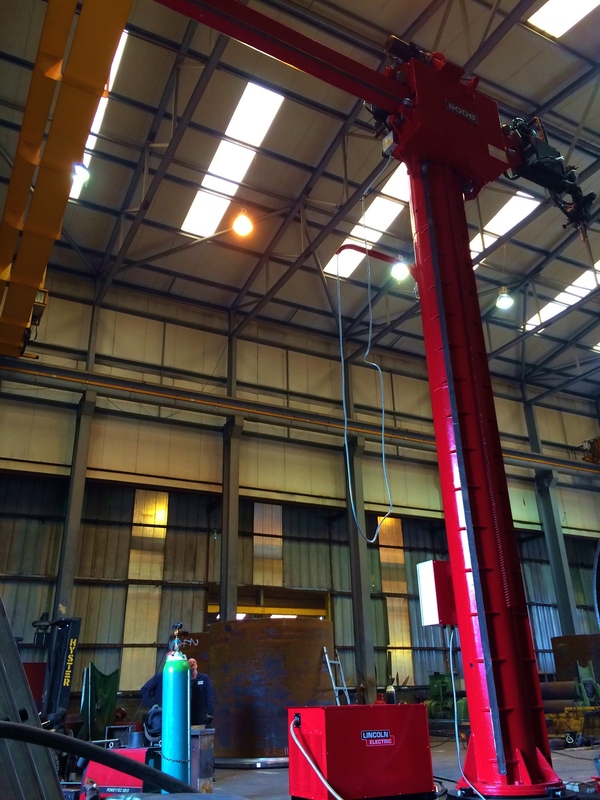 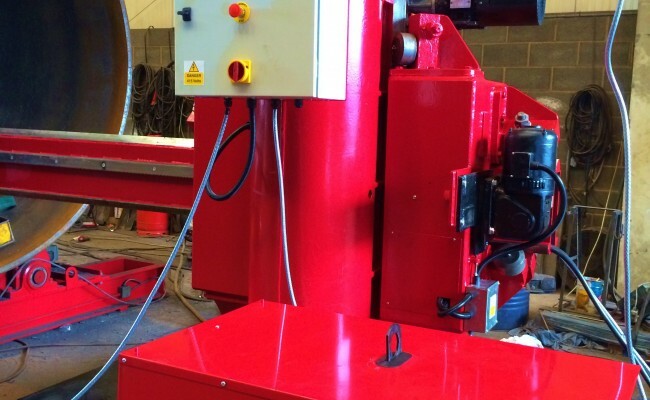 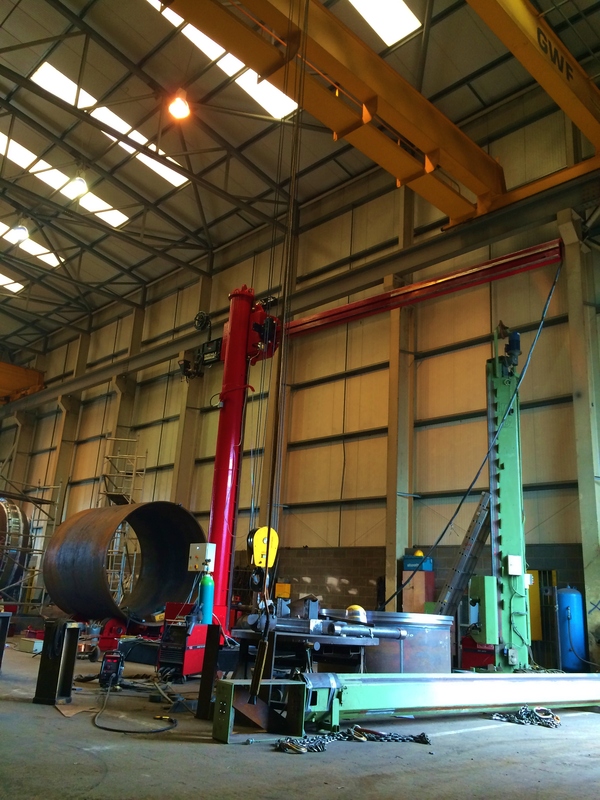 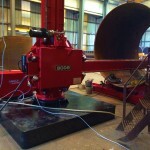 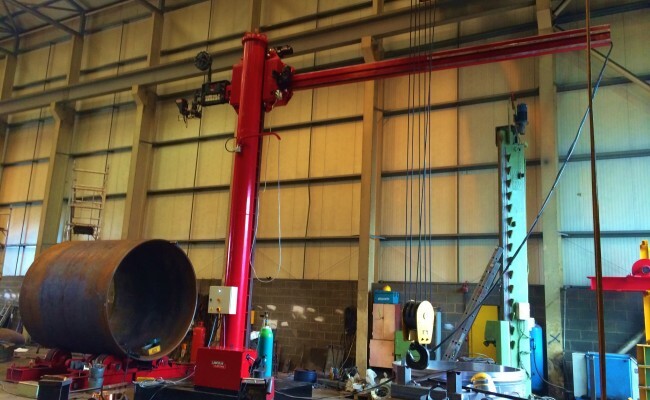 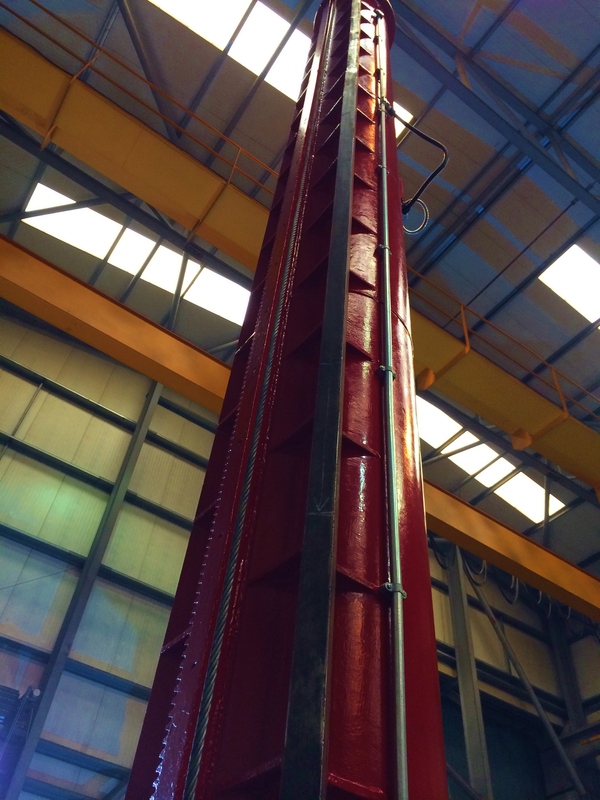 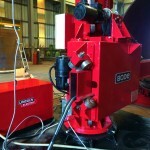 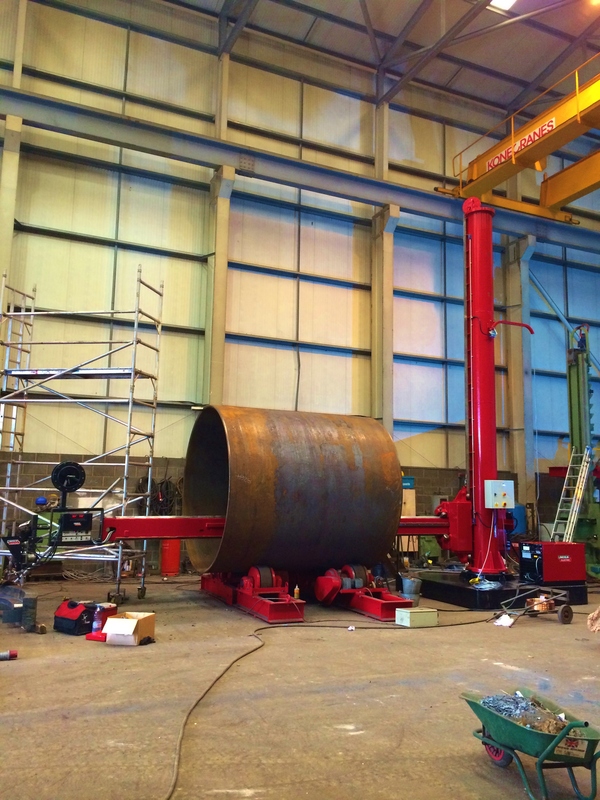 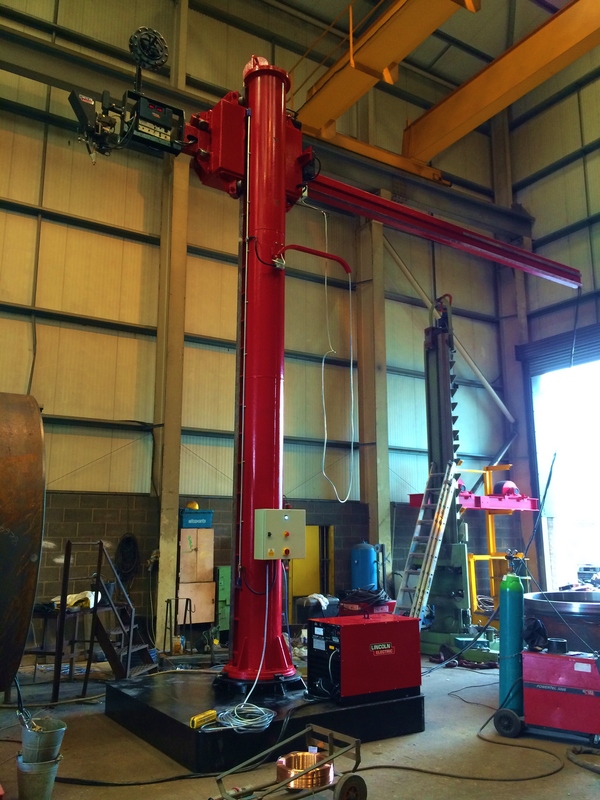 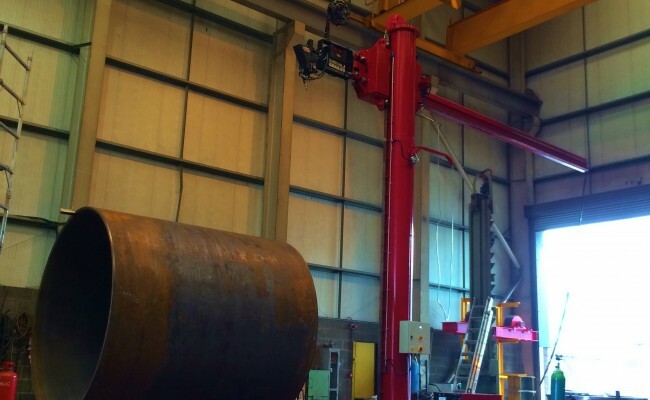 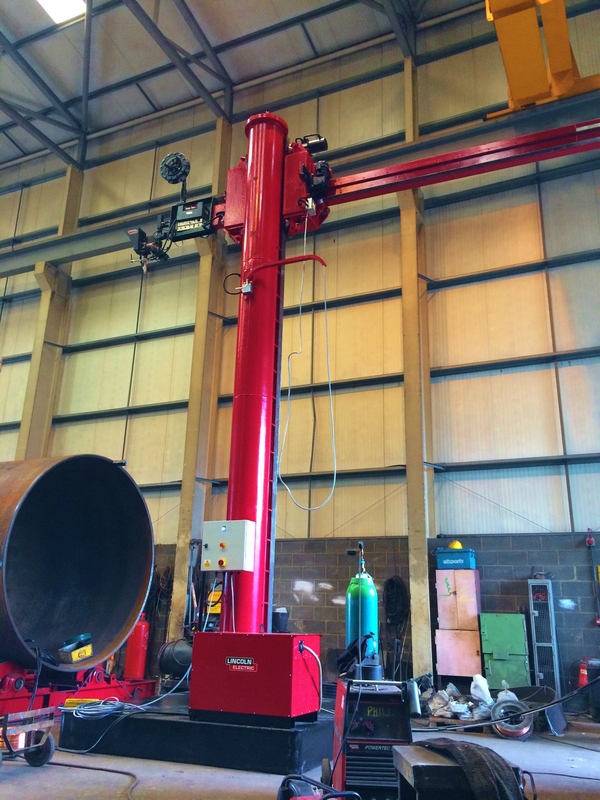 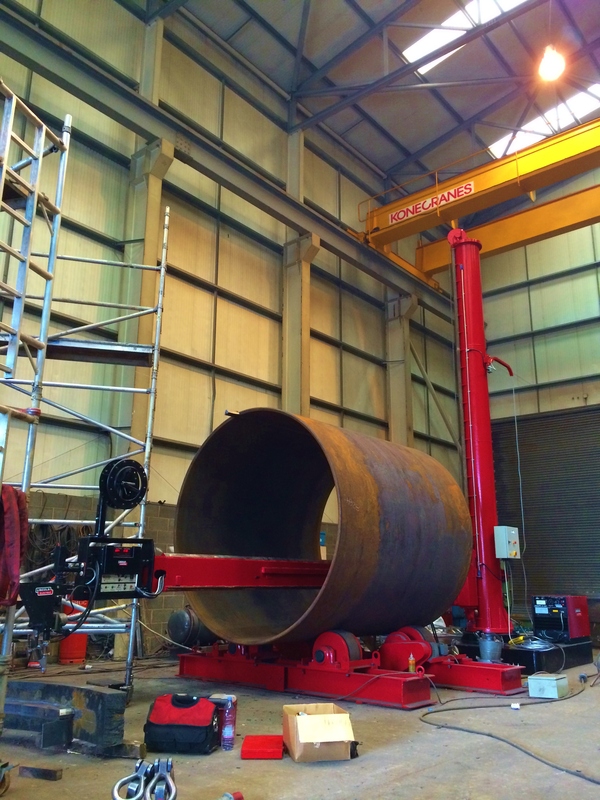 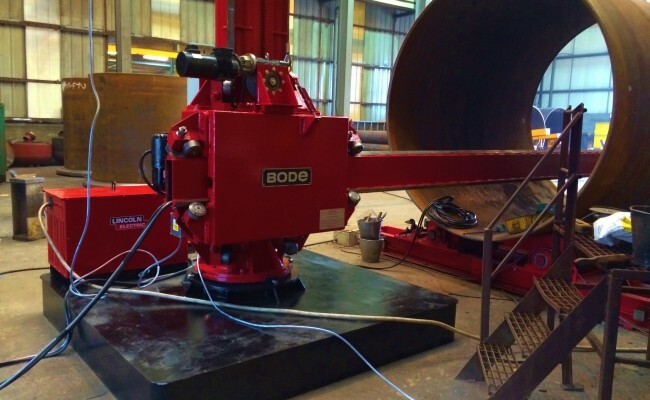 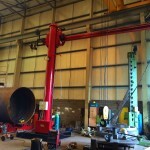 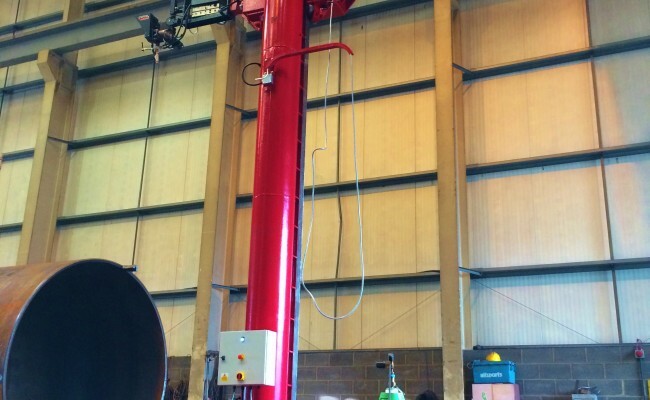 Here is one of our BODE 6 m x 6 m column and boom welding manipulators that we have extended by 2 meters in length on the arm and column, along with widening the base. 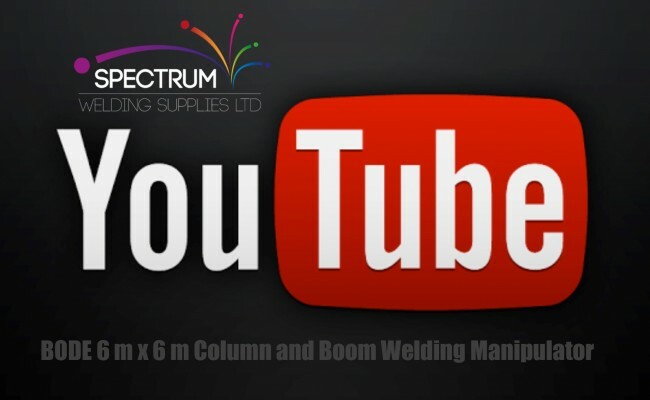 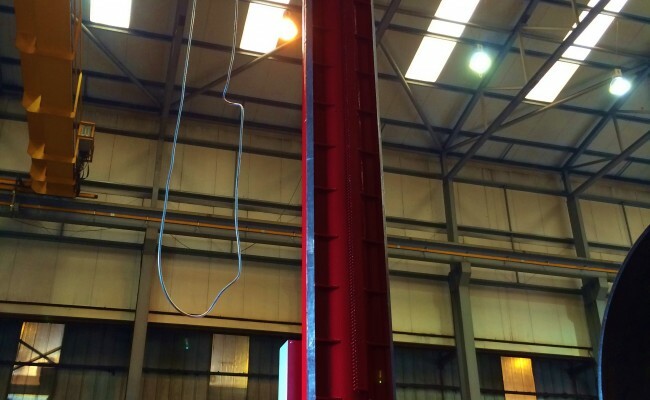 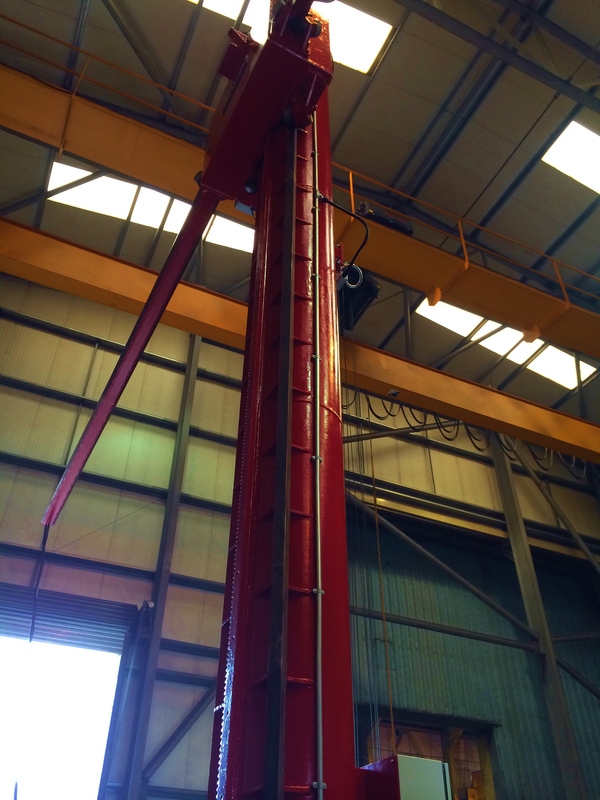 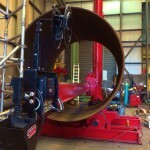 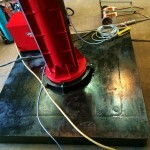 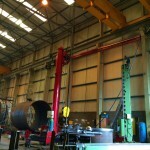 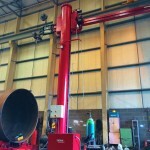 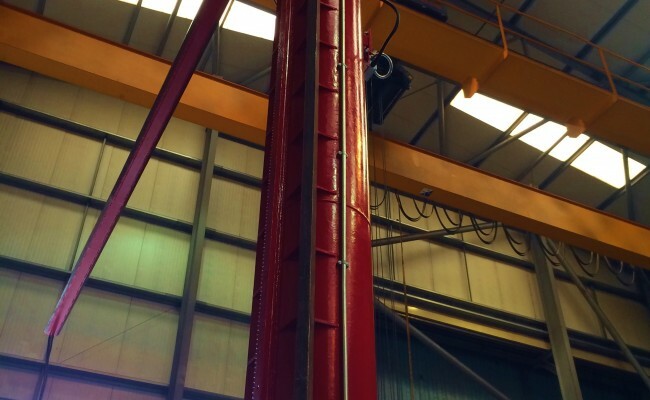 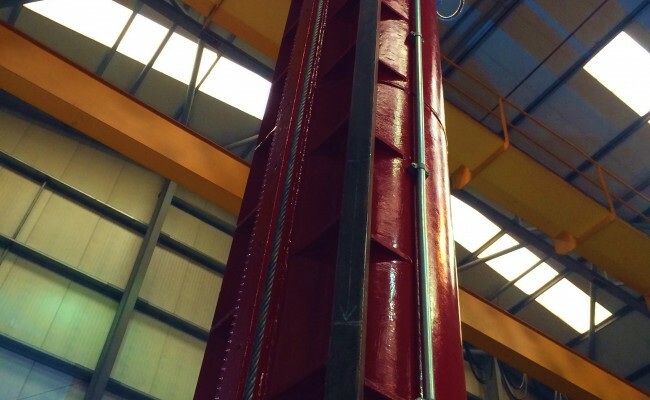 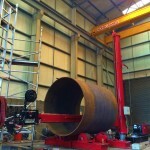 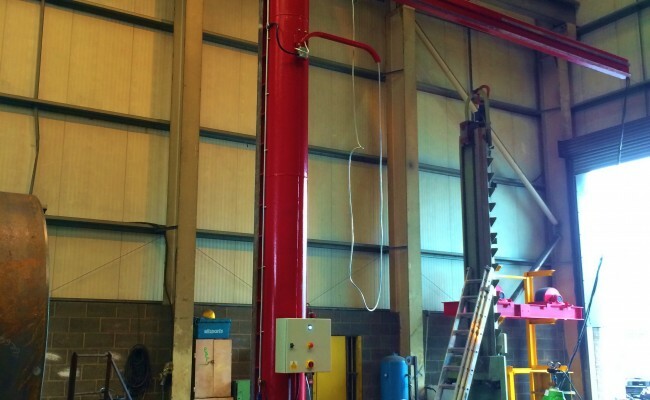 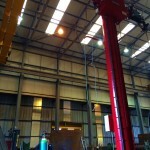 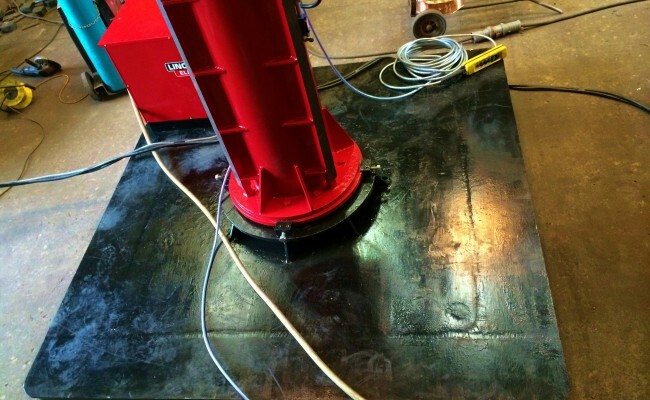 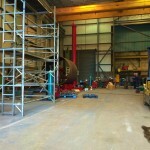 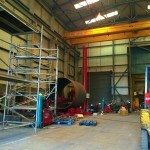 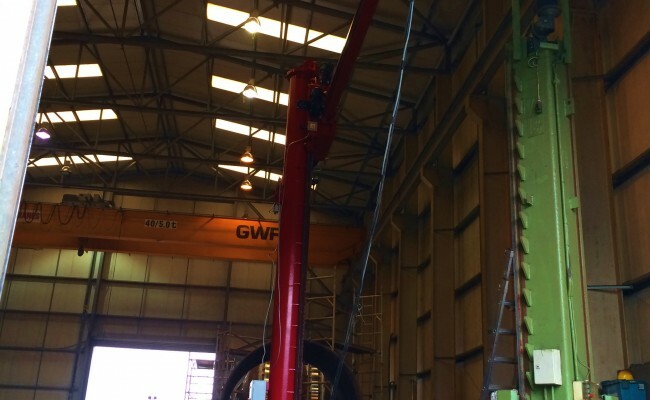 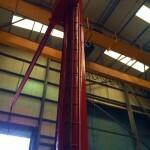 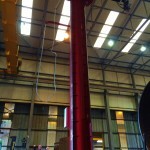 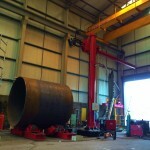 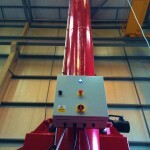 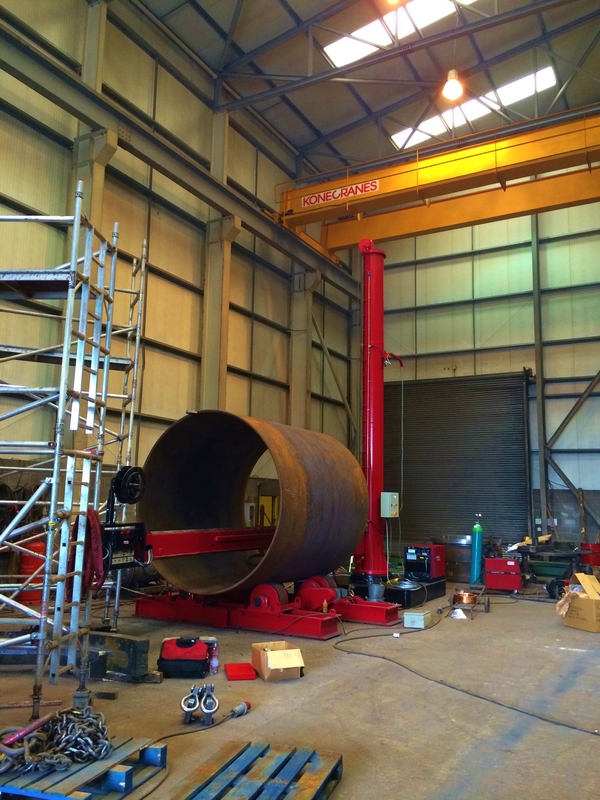 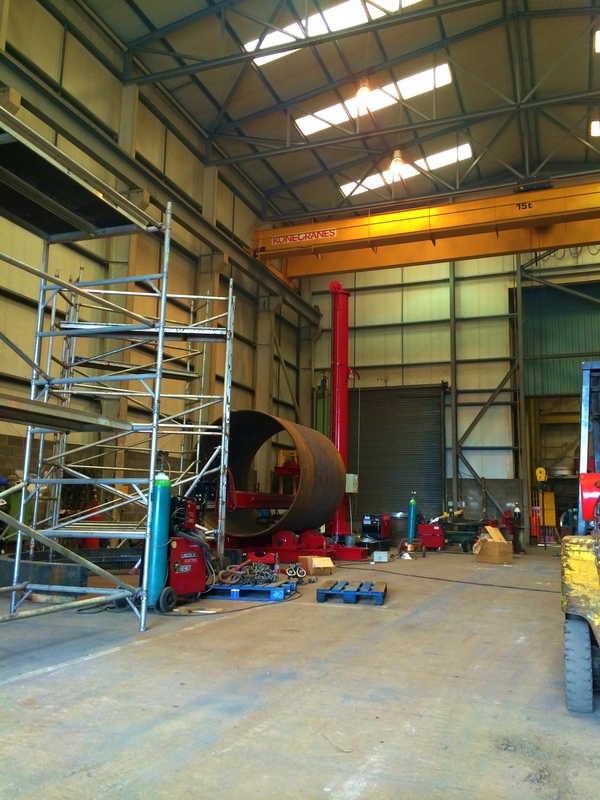 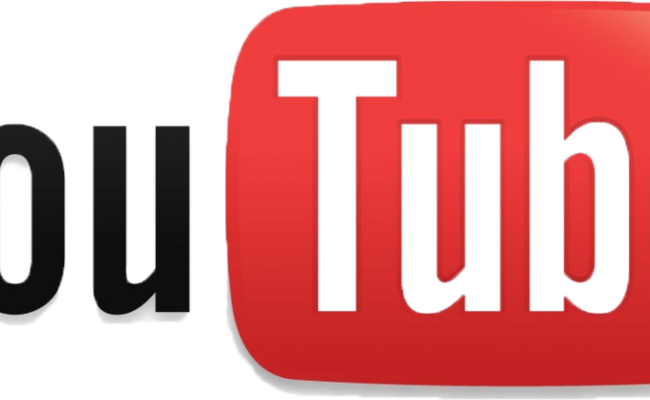 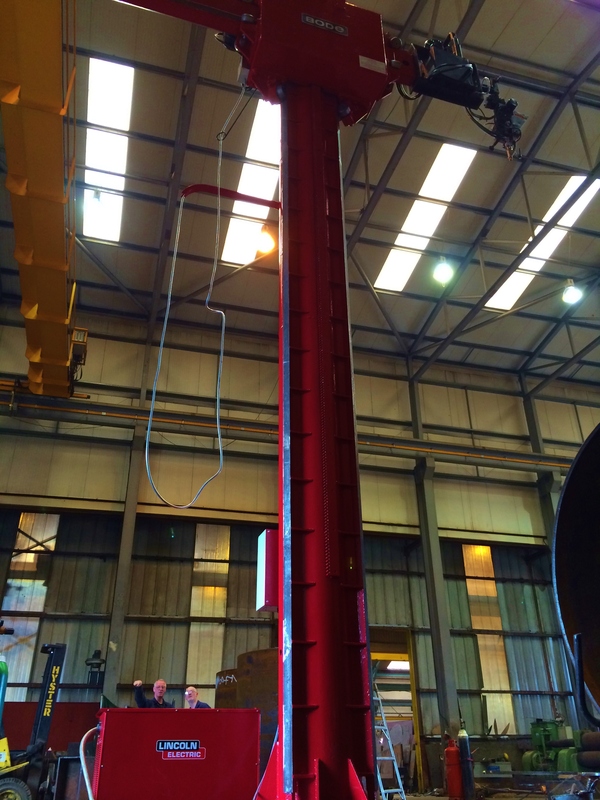 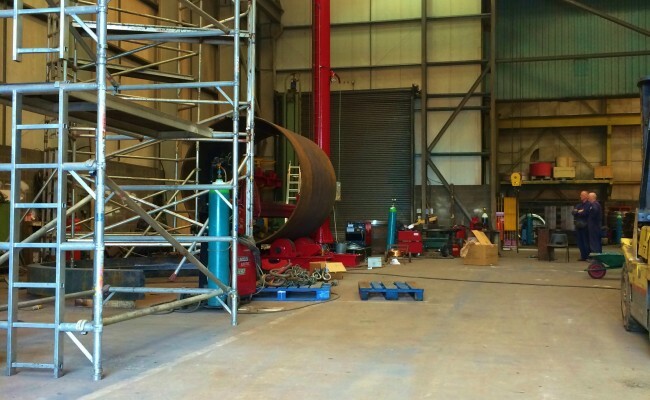 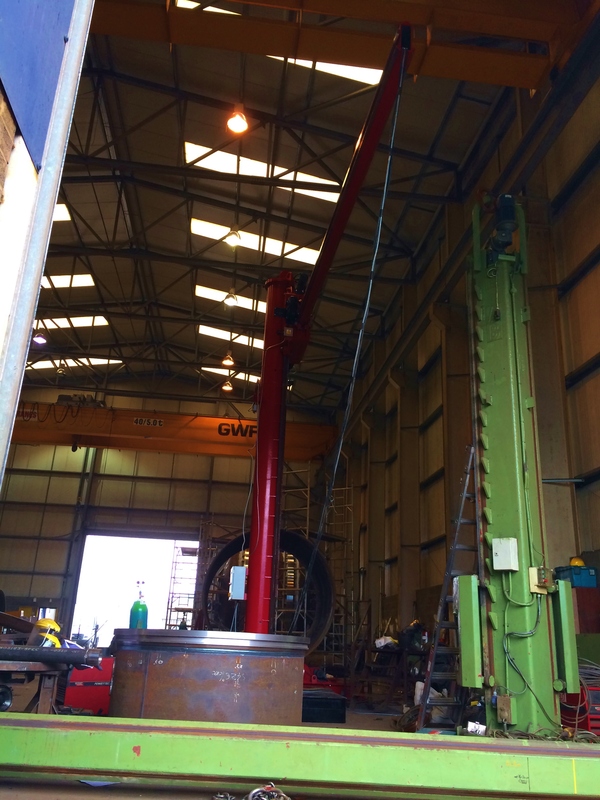 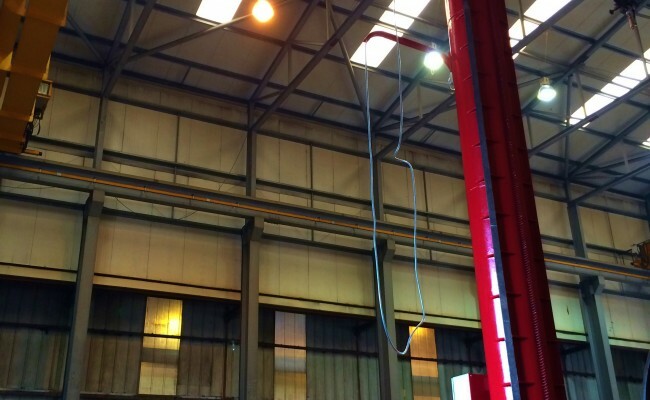 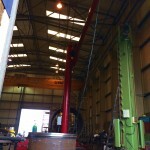 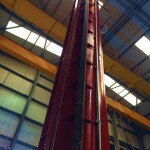 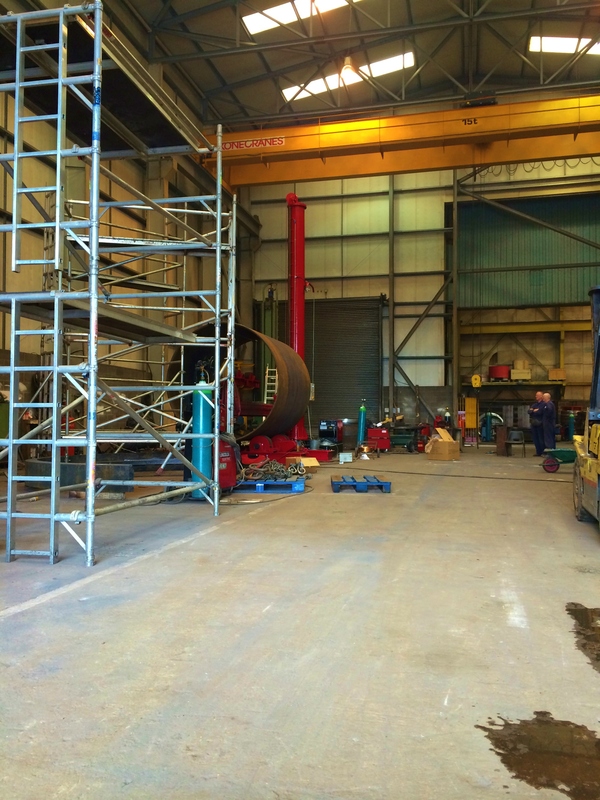 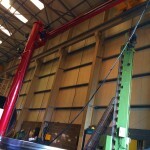 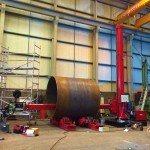 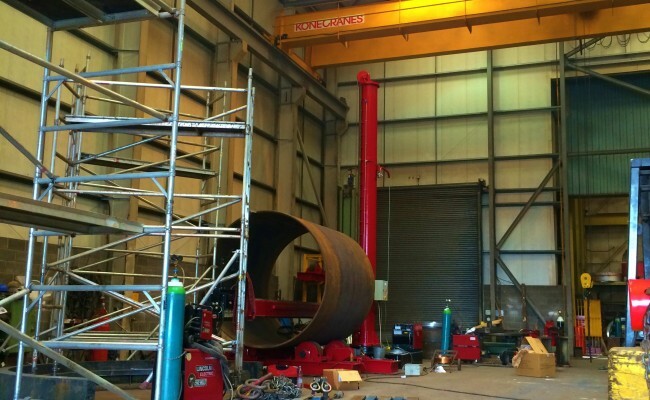 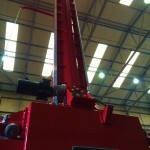 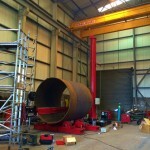 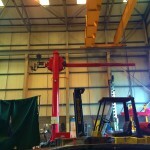 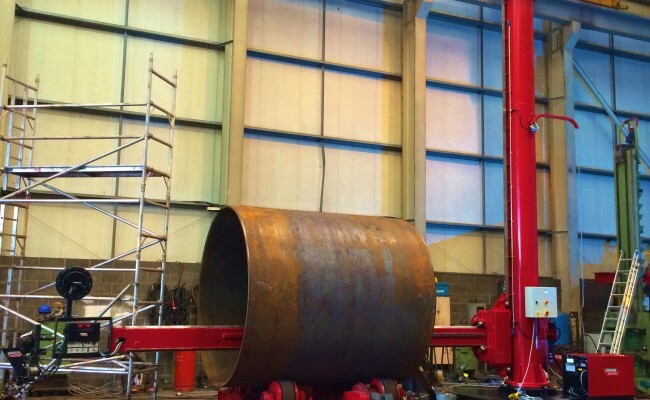 We are able to custom build and manufacture in-house any specification the customer requires, along with completely stripping and fitting the column and boom with brand new components. 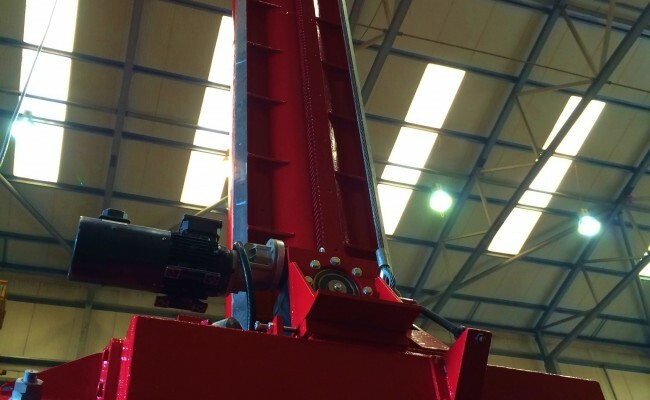 These include the control panel, cables, motors, gear boxes, bearings, gears, wheels, steel cable and everything you see in the pictures. 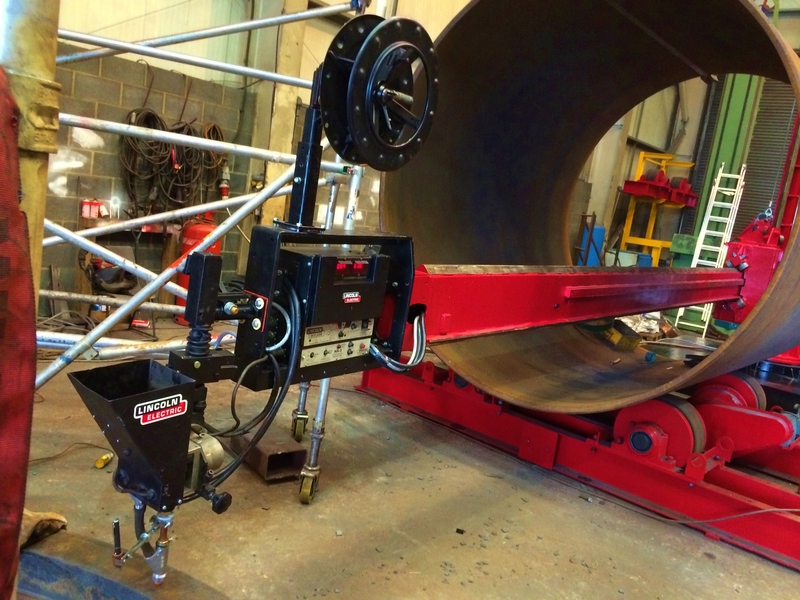 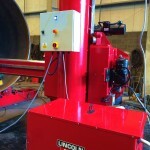 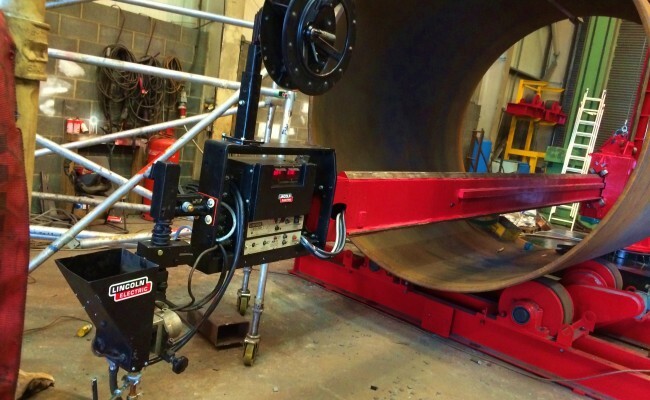 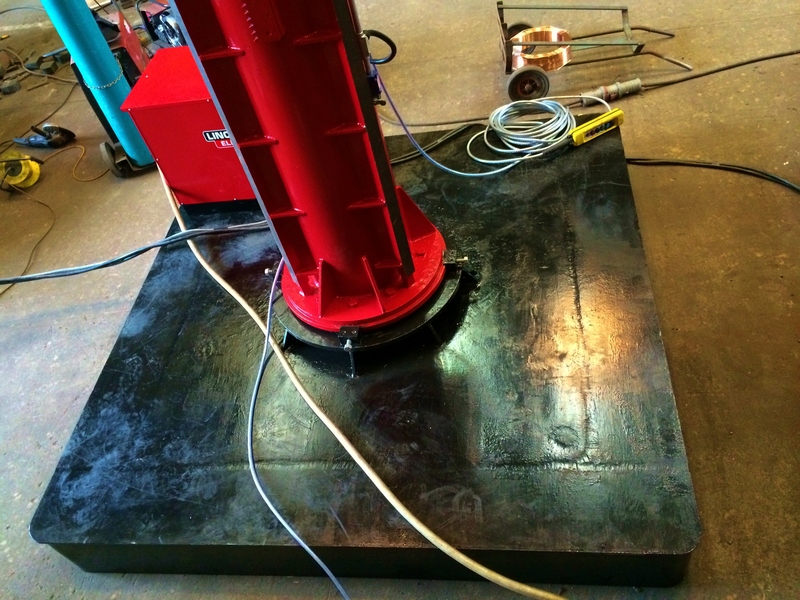 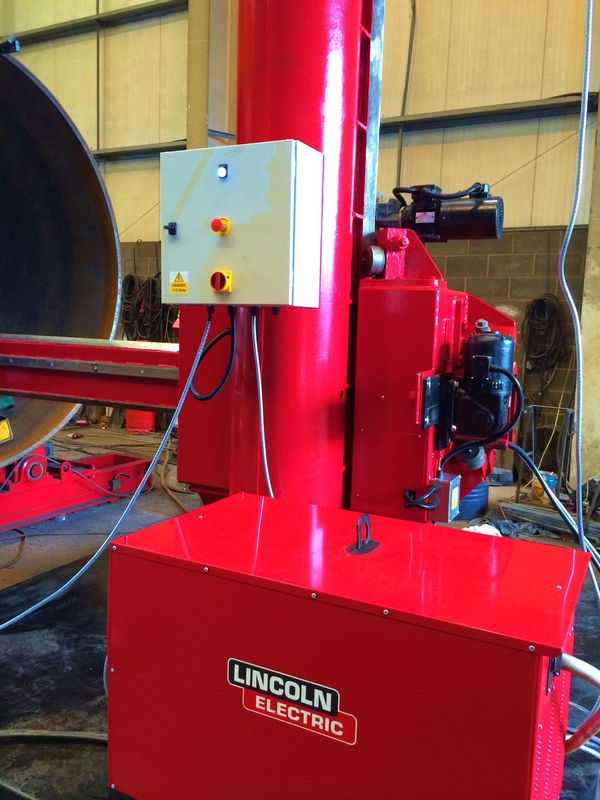 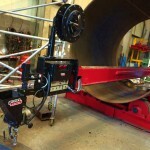 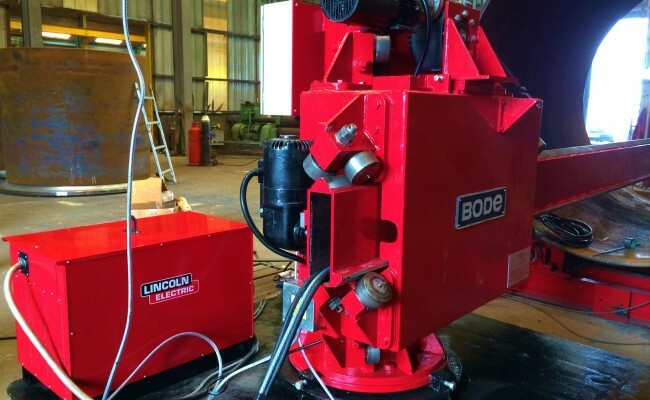 This weld automation plant is kitted out with a rotary earth clamp, Lincoln Electric Idealarc DC 1000 submerged arc welding machine and the beloved Lincoln Electric NA-5 controller and head.